I have a thing for arrows and magnets. And cool friends, like those photographed below. You can imagine how psyched I was to find these little gems at the $1 spot at Target. 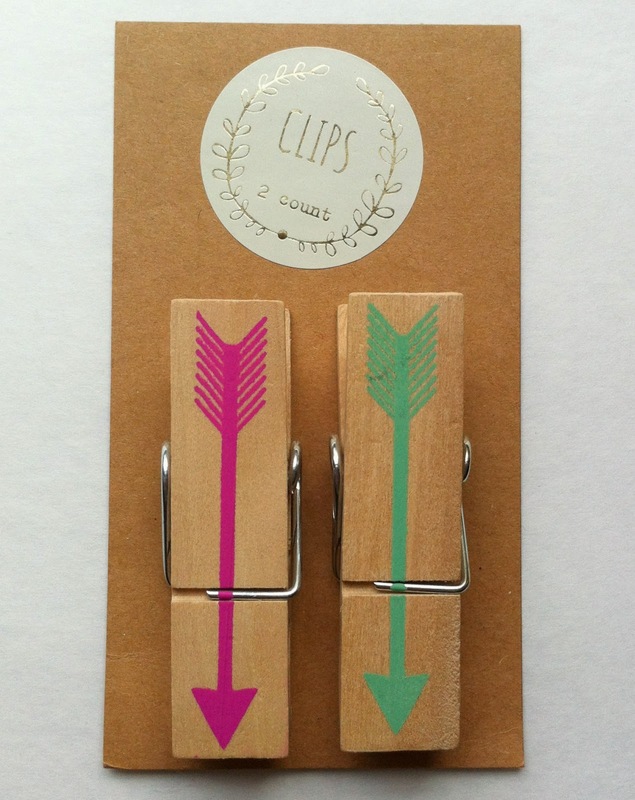 Chunk arrow clothespins! They come in a few color combos. To make the clothespins into magnets, I hot glued a magnet onto the back. And within 30 seconds (the time to heat up my glue gun), I was ready to go. Arrow magnets were made. Don't you love an easy, functional, inexpensive DIY project? Plus, look at all those happy faces and happy arrows.